This is a test to see if my blog readers are paying attention and to see if posts about surfers really are my most popular posts. I finally met Ralph Fatello; he’s kind of famous. It was a brief meeting. I saw him with a few of his friends looking out over the ocean on September 11. He told me this small group of men met in this place every year. I didn’t want to crash their party, so I told him I admired his surfing, his tenacity, and his photography. I snapped his picture and moved along. Here’s a big shaka sign to you, Ralph. 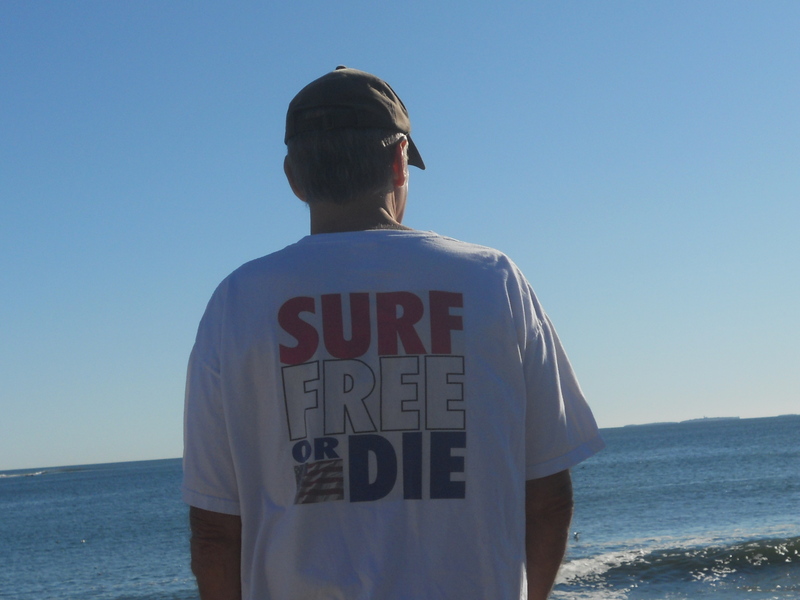 This entry was posted in Minimalist and tagged 366 days of surfing, Aloha spirit, Ralph Fatello, Shaka sign, Surf free or die. Bookmark the permalink.